Conviction of Dr Conard Murray, the Texas physician who administered a powerful surgical anesthetic to Michael Jackson hours before his death has brought forward the issue of medical negligence globally. He was charged with the offence of involuntary manslaughter. He has also been barred from practicising through suspension of his medical licence. Involuntary manslaughter usually refers to an unintentional killing that results from recklessness or criminal negligence, or from an unlawful act that is a misdemeanor or low-level felony. The amount of Negligence is necessary to constitute manslaughter with terms such as criminal negligence, gross negligence and culpable negligence. The only certainty that can be attached to these terms is that they require more than the ordinary negligence standard in a civil case. Involuntary manslaughter could be catagorsied into two types. They are criminally negligent manslaughter and unlawful act manslaughter. Criminally negligent manslaughter occurs when death results from a high degree of negligence or recklessness. Modern criminal codes generally require a consciousness of risk and under some codes the absence of this element makes the offense a less serious homicide. A few months back, High Court summoned a number of doctors for alleged negligence in treatment. There was a serious allegation of negligence against Labaid Cardiac Hospital causing the death of Dhaka University teacher Dr Mridul Kanti Chakrobarty. He had admitted in Labaid with diarrhea related dehydration before he died in the hospital. Earlier in this year, colleagues and activists protested the death of professor Abu Nasser M Saleh, a professor of Physiology department of Rajshahi University. They accused the doctors of Rajshahi Medical College Hospital (RMCH) as the professor died almost without treatment in the hospital. Saleh was "wrongly diagnosed" at the emergency department of the hospital where he was taken with chest pain and referred him to the respiratory unit instead of cardiology department. Both the incidents drew media attention. The Bangladesh Medical and Dental Council (BMDC) has been constituted under the Medical and Dental Council Act (Act No XVI of 1980). A code of ethics was made for medical professionals in exercise of the Powers conferred by section 27 & 28 of the act. It has been made clear in the ethics that BMDC is that is not an association or a union for protecting professional interests. The prime duty as enshrined in the code is to look after public interest-by maintaining proper medical/dental Standards. It has further been stated in the code, “The consequences of breach of this rule may be most serious from a professional point of view, involving even the removal of the offender's name from the Medical/ Dental register, but only the grossest cases are thus brought to light”. In reality though, there are few instances where BMDC took a serious stand to deal with infamous conduct. A six-week trial found Dr Conrad Murray demonstrating "unconscionable" professional behaviour and neglect while treating his celebrity patience Michael Jackson. Murray left Jackson alone after administering a dose of it on the morning of his death even though standard medical practice insists on an anesthesiologist or qualified technician remaining at the patient's side at all times. Court in the US has thus made precedence in taking professional behaviour into consideration while judging the case of a patient. 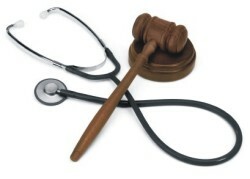 In order to avoid future death related to medical negligence, policy and practices need to be strengthened. Role of BMDC is very critical as they are liable to look after public interest. Overhauling of BMDC with the consultation of all stakeholders including medical practitioners and consumers would help ensure accountability of doctors working in the hospitals both public and private.